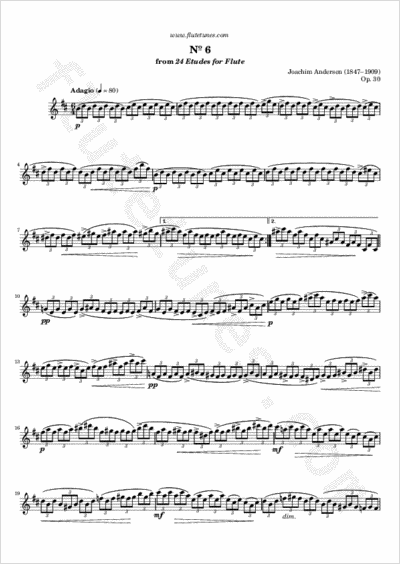 This slow study in B minor is the sixth piece from Danish flutist and composer Joachim Andersen's Twenty-Four Etudes for Flute, Op. 30. It may seem a bit repetitive, but do not jump to hasty conclusions! You do not want to play this study too quickly; instead, make sure you pay close attention to rhythmic regularity, to accents, and to dynamics.